809 Acton Ave, Homewood, AL.| MLS# 832559 | Richard Jacks UABLIVING.com 205-910-2297 | Birmingham AL Real Estate | Contact us to request more information about our Homes for Sale in the Birmingham AL area. Walk to Gianmarco's and JoJo's!! 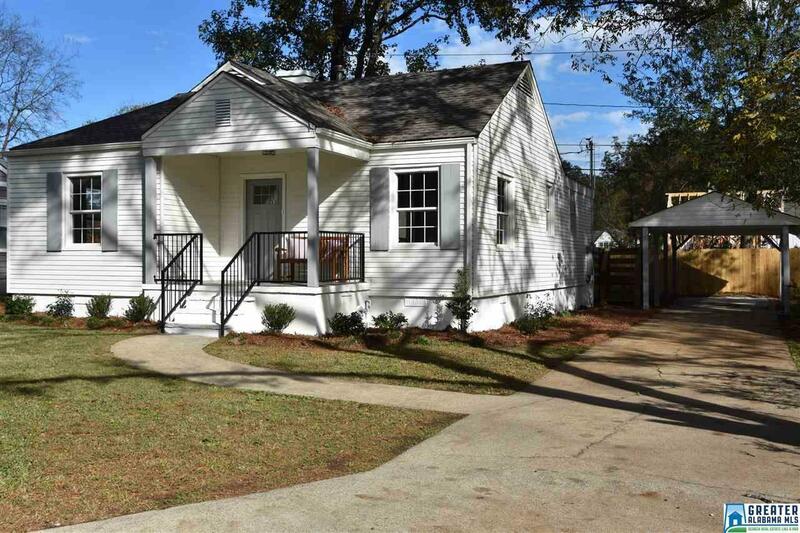 Don&apos;t miss out on your Opportunity to own a Beautifully Restored Cute Cozy Cottage in Homewood! While not loosing the Cottage personality this home features a Great Room that is open to the Dining Area and Kitchen. The Kitchen features Quartz Counters, Stainless Appliances and Beautiful White Cabinets and a Laundry Closet. Hardwood floors throughout with tile bathrooms. This home features a large Master Bedroom in the back of the house with an en-suite with a large walk-in shower. Off the Great Room you will find Two additional bedrooms and another full bath. The backyard features a large deck and a carport. Driving Directions: From Green Springs To Carr Ave Take The 2nd Right On To Acton Ave. The Home Is On The Left.